Speedy Wheels Outlaw is a tough looking military style design, developed to accommodate a wide range of fitments for serious off road and light commercial applications. The Outlaw Wheel has total blackout achieved with the Satin Black finish. At the foot of each spoke at the rim lip, the positioning of deep chrome hexagonal bolt heads accentuate a very purposeful and unique styling. 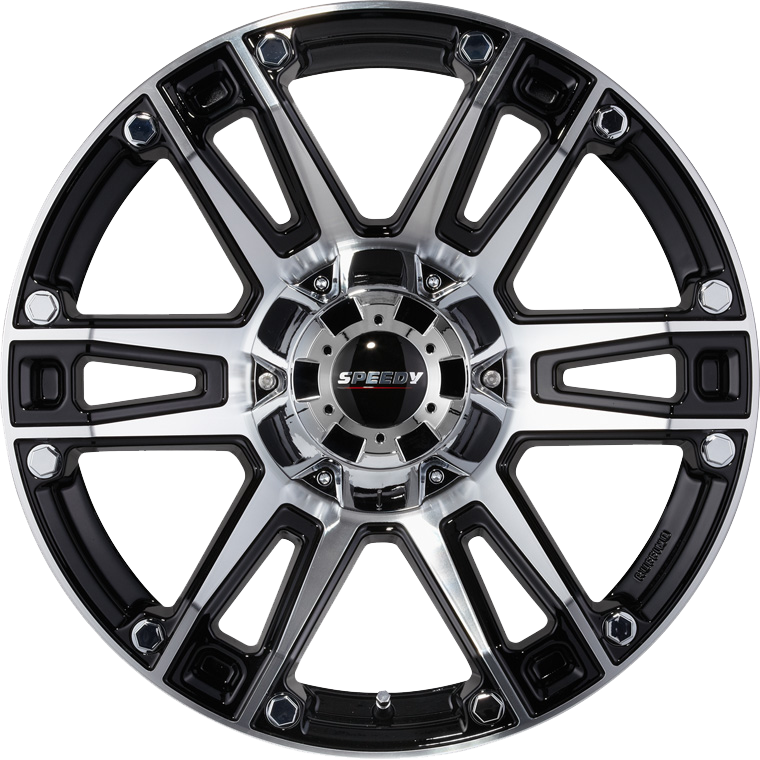 The finish of Tungsten Grey is now offered in the Outlaw 4WD wheel range in limited sizes. The new finish accentuates the tough and purposeful appearance of this style. Black hexagonal bolt heads compliment the gritty appearance of the Outlaw, but a custom appearance can be achieved my substituting these decorative bolts in either chrome or bold red.